WINDSOR, ON – Walkerville Brewery has announced the return of its traditional summer seasonal brand. A light and refreshing wheat beer perfect for the end of summer. Brewed in the Belgian Wit style this wheat beer is super silky and easy drinking. It has a light malty character and the complex flavours imparted by the Belgian yeast are complimented by spicy coriander and fresh organic orange peel. 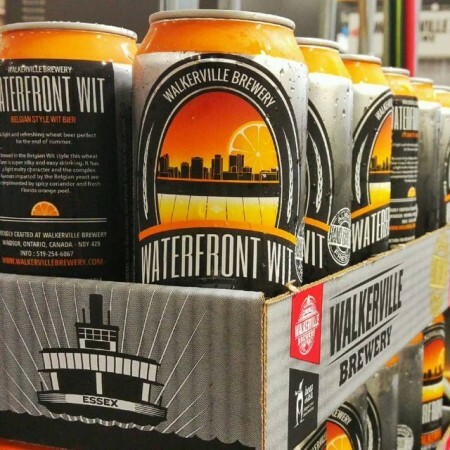 This year’s edition of Waterfront Wit will be debuting tomorrow (May 12th) at 11:00 AM in the Walkerville tasting room and retail store, where it will be available in cans, growlers, and on tap.